Have some fun picking and tasting tree-ripened cherries at Blossom Hill Orchard. Serving the Fort Wayne and Northeast Indiana area, you may choose from our pre-picked sour, tart, and sweet cherries or pick them yourself. Our cherries are grown in the high tunnels on our orchard with the utmost of care. For those who do not wish to pick their own, pre-picked cherries are sold by the pound from our retail barn located on the property. To pick your own, simply check in at the barn. We provide you with buckets and show you the best area in the orchard to find the ripest cherries. 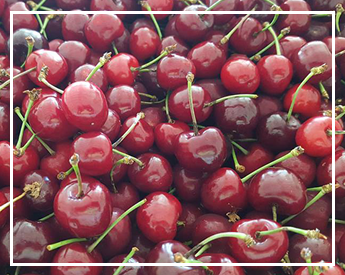 We will also show you how to properly pick cherries so they stay fresh long after picking. Once done picking, check back in at the retail barn and we'll weigh your buckets. At various times, we also offer locally-grown fresh vegetables as well. Be sure to check out our Facebook page or call ahead to see what we have available.